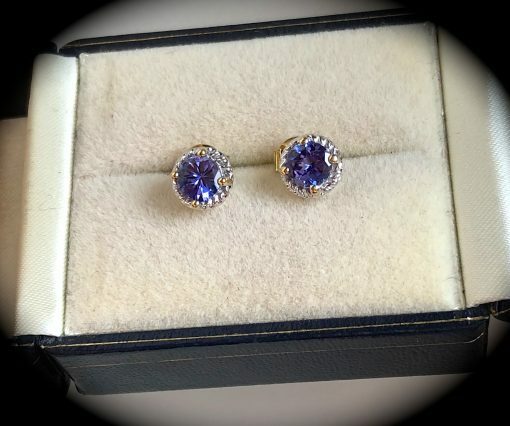 1.27CT TANZANITE EARRINGS 9CT Y GOLD 'CERTIFIED AA' EXQUISITE COLOUR! 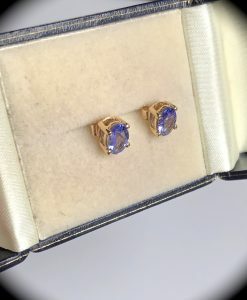 1.27CT TANZANITE EARRINGS 9CT Y GOLD ‘CERTIFIED AA’ EXQUISITE COLOUR! 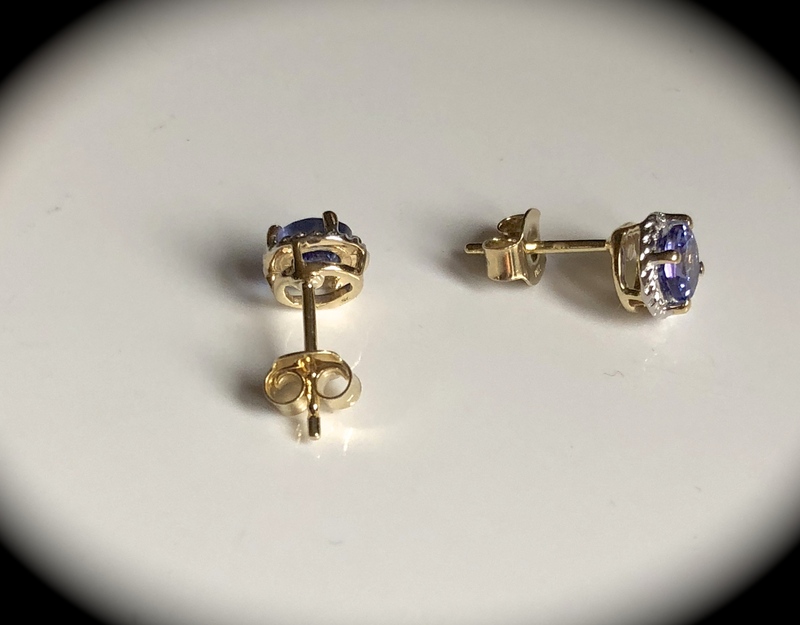 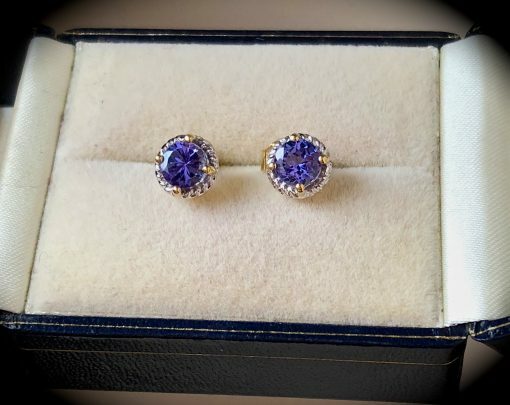 Such a beautiful pair of 9k yellow gold earrings set with premium AA graded round brilliant cut tanzanites measuring 5mm round with a combined weight of 1.27 carats so not tiny gemstones being over 1/2 a carat each! 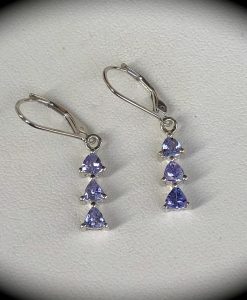 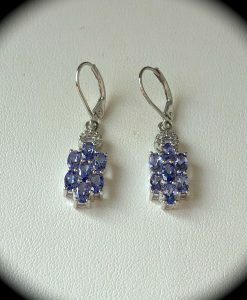 The colour of the tanzanites are a beautiful blue/violet with pink flashes. The round brilliant cut tanzanites are extremely difficult to source, especially when two gemstones are set into earrings! 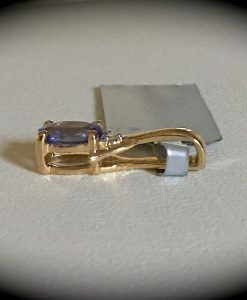 This shape is one of the most expensive cuts to achieve because of wastage but due to the way the table is faceted, this cut offers more brilliance than other shaped tanzanites. 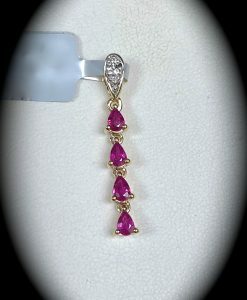 We have taken another photo in a different light source to demonstrate the plehochroism of these gemstones, such beautiful pink/violet tones. 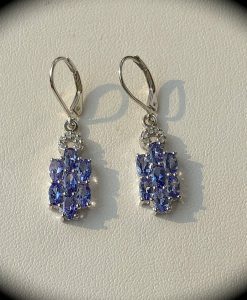 To add that touch more luxury, the setting around the earrings have been rhodium plated in a decorative rope effect, such stunning earrings and are secured with butterfly fasteners that have been made larger than average for added security. We are sure that whoever decides to buy these earrings will be thrilled with their purchase. 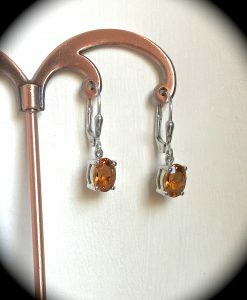 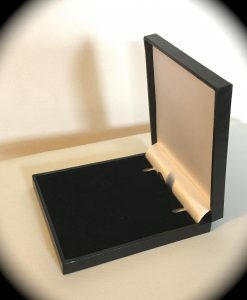 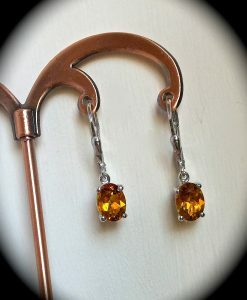 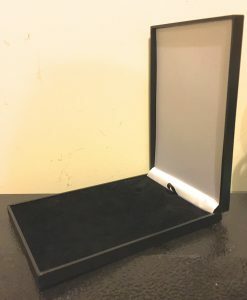 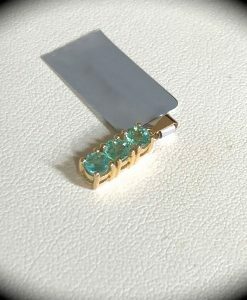 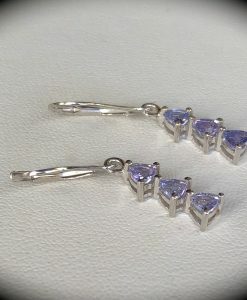 The earrings are hand crafted to a high standard and NOT mass machine produced and are brand new and will be delivered to you in a premium quality presentation box. 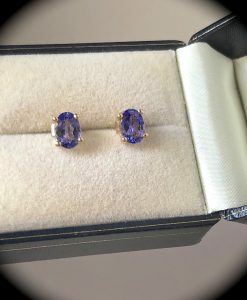 Please feel confident in purchasing from Tam’s Tanzanites in the knowledge that we have sourced vast amounts of tanzanite. 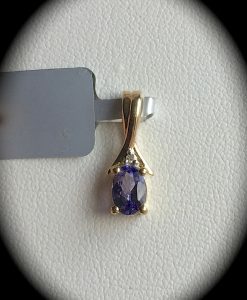 All the tanzanite gemstones we sell have been tested for authenticity. 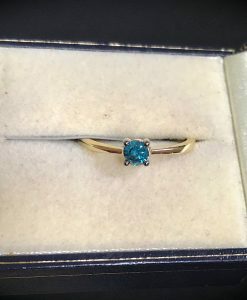 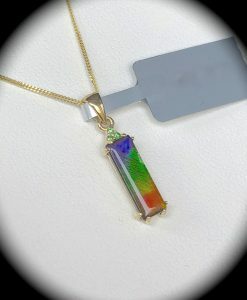 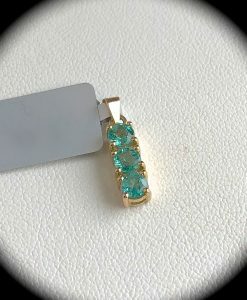 Please take a look at our feedback on our EBay and Etsy stores left by over 1,700 satisfied customers who have bought predominantly tanzanite from us and are happy to say, have now established a fantastic customer base who return to us regularly.